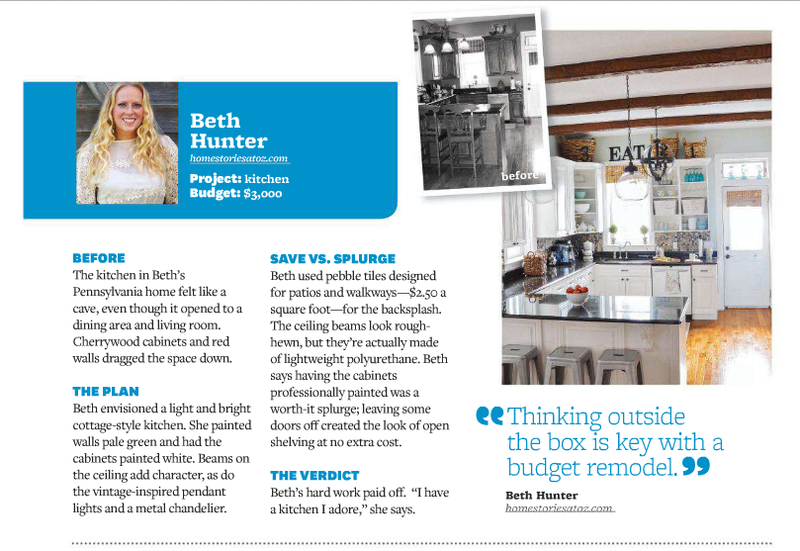 I am honored to have my kitchen featured in the spring edition of Better Homes and Gardens special interest magazine: Kitchen + Bath Makeovers. If you’re standing in line at the grocery store, be sure to pick one up and flip through it! 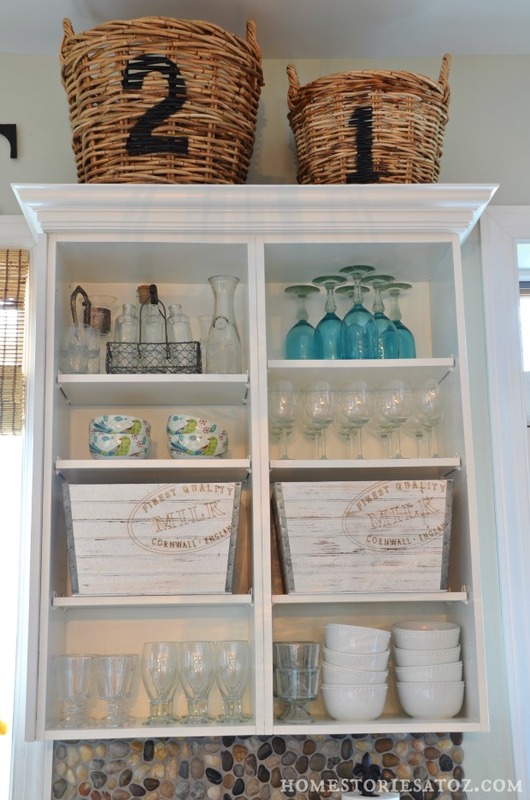 You will see several designs by bloggers you know including Rhoda from Southern Hospitality, Jen from I Heart Organizing, Jenna from SAS Interiors, Julia from Chris Loves Julia, and Emily from Jones Design Company. And I borrowed this picture from Jen’s instagram feed because I couldn’t resist. She styled this photo so perfectly on a marble countertop with the flowers which match the BHG title in the background. Perfection! If you want to see the full transformation of our kitchen step-by-step, be sure to click the picture below to be taken to the post! Oh my goodness! I remember reading this article in Better Homes & Gardens!! Hi Sara! Just seeing this comment for some reason. I’ve been blessed to be in several small magazine features over the years, but this was my favorite. Congratulations! 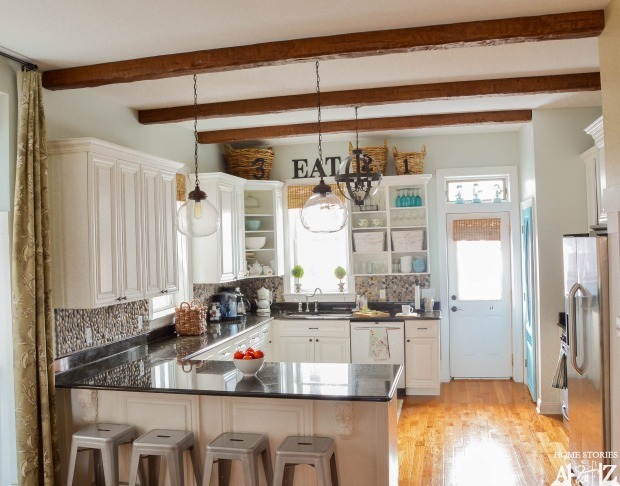 It’s a huge honor, and you totally deserve it – your kitchen is flat-out wonderful! Not sure we adequately told you how beautiful, light, and airy it all looks ! Like day and night!! You did a wonderful job, and glad you were rewarded with a B&G spot!! We’ll check it out! (Also we enjoyed the “new” guest room! It “works” ! Beth! The pebbles are genius! 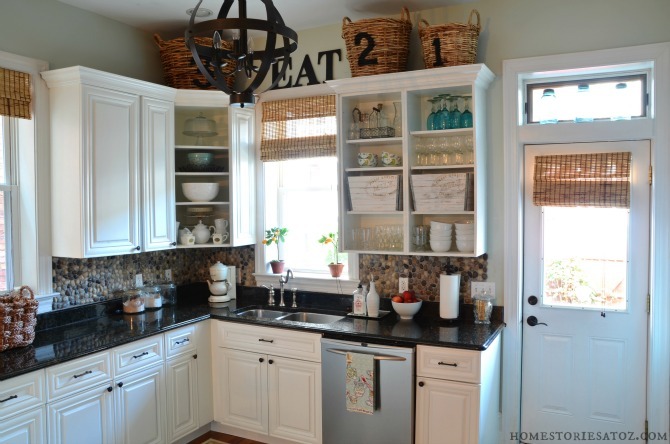 I do mosaic and never imagined a backsplash like this! 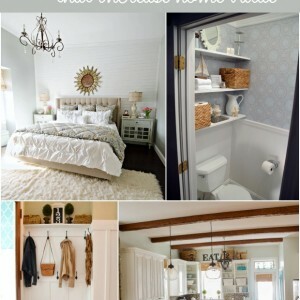 I LOVE IT and love your blog and designs! Keep Creating! Congrats! You deserve it. 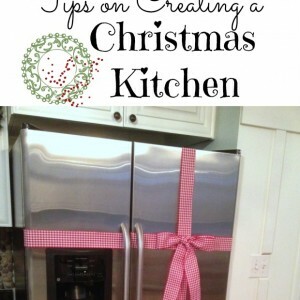 Your kitchen is fabulous! Congratulations, Beth! 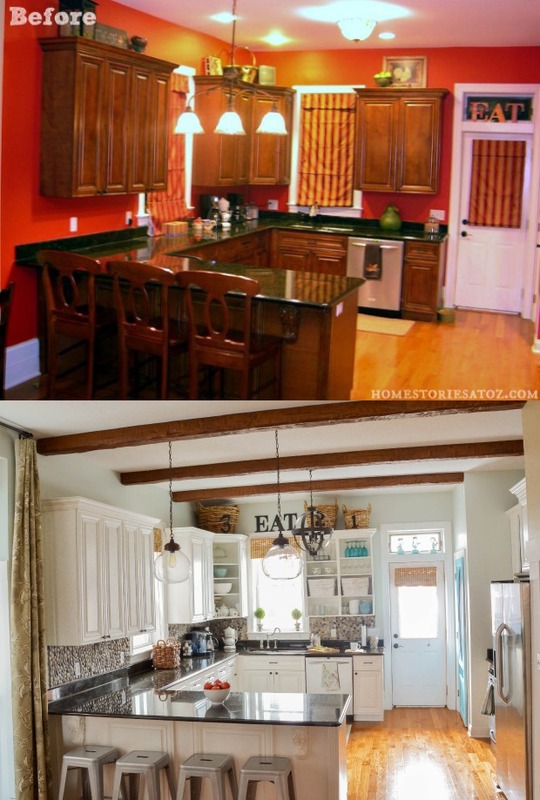 Your kitchen was beautiful before, but I’m LOVING it after, the colors and style are right up my alley. How awesome to be able to say your home was in BH&G! Wow Beth, how exciting is that! Congratulations! 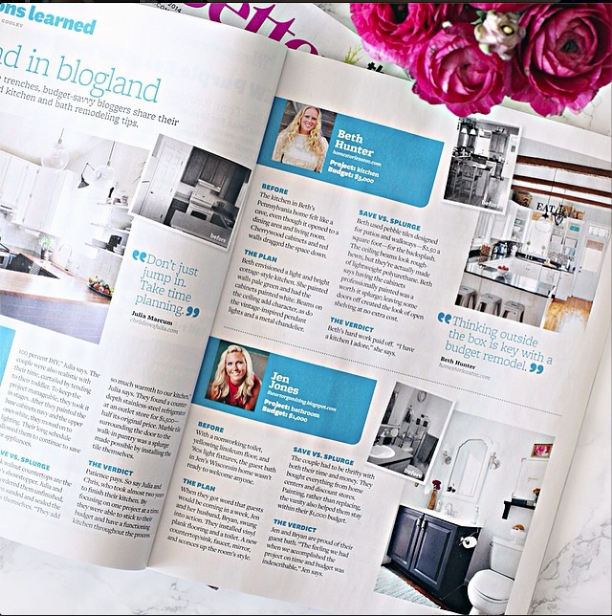 Your kitchen is beautiful and so worthy of a magazine feature! I’ll be sure to pick up a copy. Wow..What a transformation! 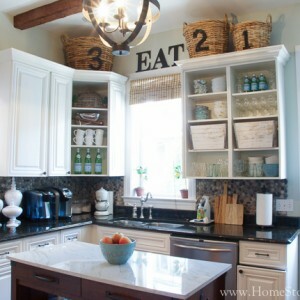 Thanks for sharing your kitchen makeover. It all looks so good I couldn’t tell you what I like the most. Happy Spring!